Does My Commercial Insurance Cover Flood Damage? Do you have the right insurance to protect against flood damages? As a business owner, you know that you are subject to an array of commercial risks. This is why it’s so important to secure the right business insurance to address your company’s vulnerabilities. If your business is located in an area with a high risk for flooding, you may be wondering if your existing commercial policies offer protection for flood damage. 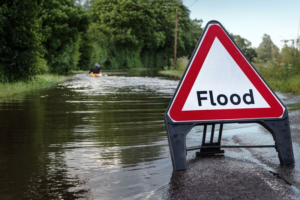 Read on for more information about insuring your business against floods. Many business owners assume that their commercial property insurance provides coverage for flood damages. Unfortunately, this isn’t the case. Most commercial property policies specifically exclude flood damages from coverage. The only way to secure protection against this risk is by getting a specialty flood insurance policy. Commercial flood insurance will offer coverage for the flood damage to your building and the contents inside it. Your policy will offer coverage for the flooding caused by overflowing bodies of water, heavy or prolonged rain, storm surges, snow melt, blocked storm drainage systems, broken dams and levees, and so on. Generally, property outside of your building will not be covered under your commercial flood policy. This includes landscaping and septic systems. Additionally, your flood coverage will not extend to your company’s vehicles, as this type of damage falls under the comprehensive potion or your commercial auto insurance. Finally, the financial losses caused by business interruption or loss of use will not be covered under commercial flood insurance. This is what you need to know about securing protection against your business’s flood risk. Do you have additional questions regarding your commercial insurance? If so, contact the experts at VGW Walker Insurance in Texas. Our dedicated team is ready to get you the coverage that you need today. Tags: Does My Commercial Insurance Cover Flood Damage?